- Search default is boolean AND / &. - Use quotes for precise searches. - Greek accents are not necessary. - Portions of words are acceptable (e.g. θιασω). preferably: New Athena Unicode, Cardo, Freeserif, Tahoma, or Quivira. 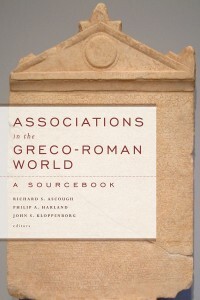 All translations from the AGRW book are copyright Baylor University Press 2012. The copyright of all other translations and photographs remain in the name of the translator or photographer identified.